Allergies & the Hospital ­– You’d think hospitals are a safe space for those with food allergies. Too often, that’s just not the case. 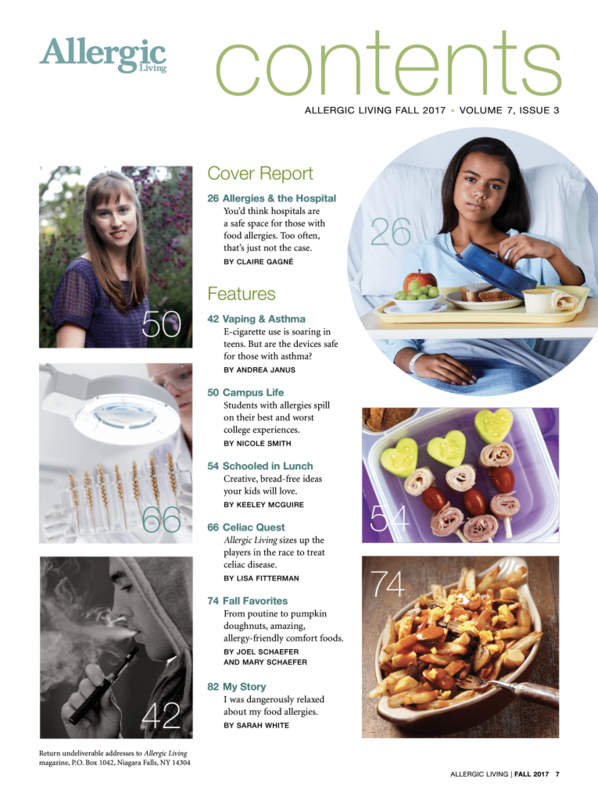 E-cigarettes and asthma; Students with allergies share their best and worst college experiences; Creative, bread-free lunch ideas; We size up the players int he race to treat celiac disease; battling indoor pests and more. 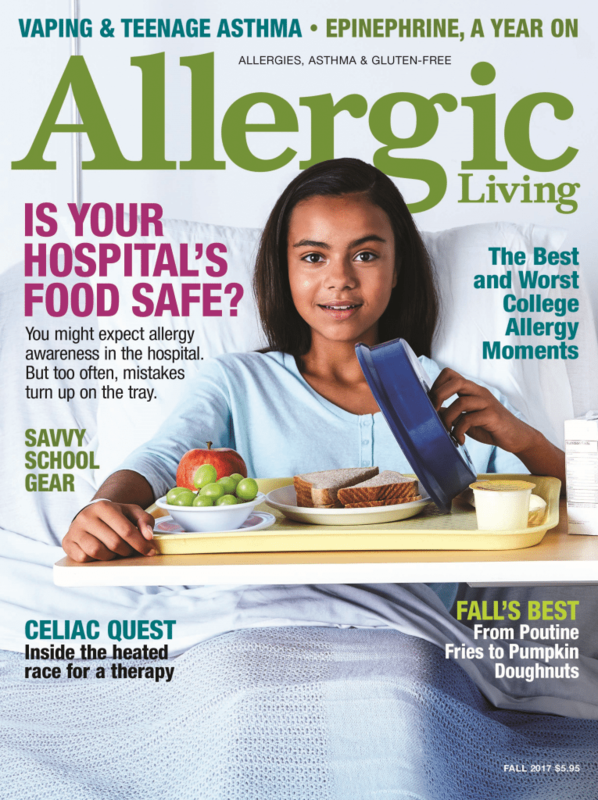 Allergy cell breakthrough, gluten suit may make history, digestive aids debunked and a teen’s tale of tragedy. 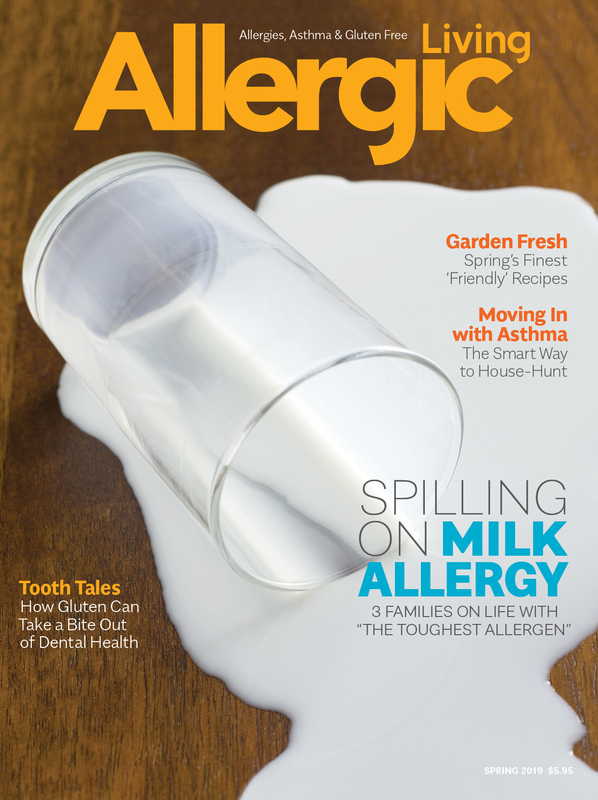 The allergic child rides the school bus, soy milk substituting, eczema and food triggers, and more. Fall Favorites: Poutine to pumpkin doughnuts and more allergy-friendly comfort foods. 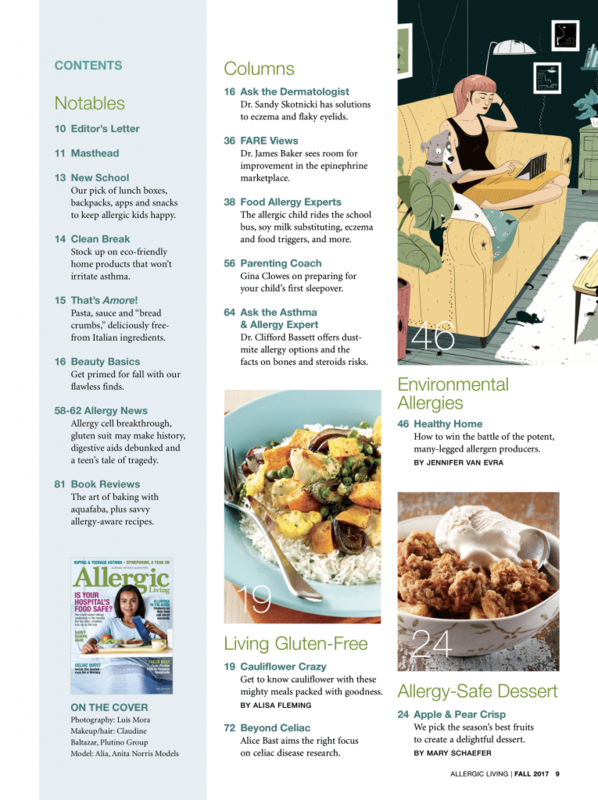 Plus a divine allergy-safe Apple and Pear Crisp and amazing cauliflower-based meal ideas.